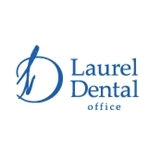 Laurel Dental Office (San Francisco) - Book Appointment Online! Dr. Christina Chang-LeMone is a General and Cosmetic Dentist in San Francisco. She is a very experienced dentist who prides herself on being able to care for her patients and create beautiful smiles everyday! As a premier cosmetic dental office in San Francisco, Laurel Dental is located in the prime neighborhood of Laurel Heights. Also, our office is easily accessible via cars and MUNI. Our office offers a variety of services-Cosmetic Dentistry, Smile Design, Veneers, Crowns and Bridges, Tooth-Colored Fillings, and others. The goal of our office is to provide comprehensive Dental Care using the latest techniques with the highest standard of personalized dental care. We combine the art and science of dentistry to create a world of possibilities to enhance your smile and your life. I liked that I didn't have to wait too long before the hygienist came. She informed me of what the appointment entails before getting started. She was fast and efficient. The doctor was nice and knowledgeable. She took the time to get to know me. She also spent time to explain the necessary treatment, how long it will take and how much it will cost. No unpleasant surprises in this office. Everything is discussed before anything is done. I like that. Great job dr Chang and staff.